Established in 1997 to provide professional and reliable cleaning services to commercial and residential customers. Our commitment to helping clients maintain their properties means that many of our original customer base and contractual work continue to use our services. Carefully and successfully managed by David Grevitt, we’re dedicated to providing 100% customer satisfaction in all aspects of our business. 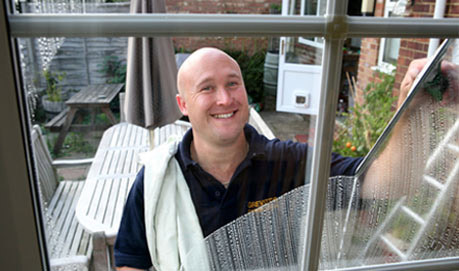 We offer a reliable and value for money service that will keep your home or business looking sparkling clean internally and externally. 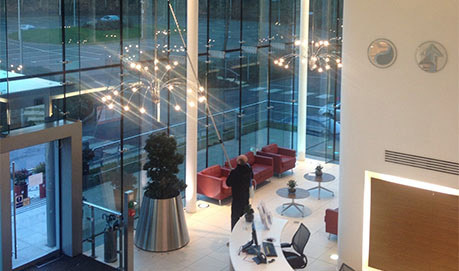 Proud to provide cleaning services to a large range of diverse clientele who know that we are committed to helping their business achieve the right image. 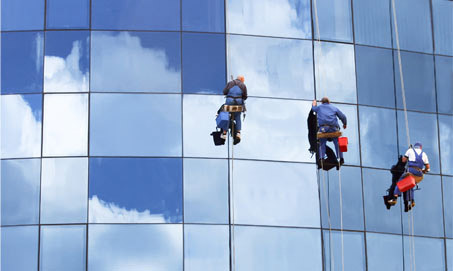 Grevitt’s Specialist Cleaning Services are experts in every aspect of commercial and domestic/residential window cleaning. 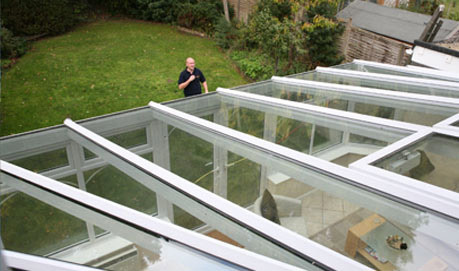 As well as windows we also clean gutters & fascias, glass canopies, conservatories, solar panels, driveways, car parks, patios, decking, cladding and many more. Delivering an excellent and professional service to clients including pubs, shops, sports facilities, offices and residential houses of all sizes to name just a few. 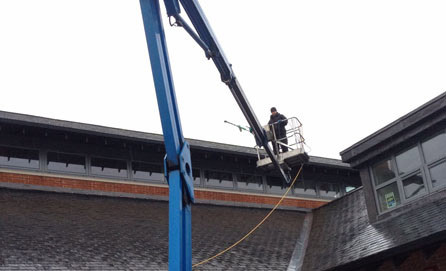 You will benefit from a variety of cleaning methods at Grevitt’s Specialist Cleaning Services from the traditional ladder and squeegee to the modern Tuckerpole System. For your ultimate peace of mind, we always adhere to all health and safety regulations and will undertake any necessary measures to ensure safety is paramount at all times. We understand security and trust are an integral part of the relationship between our clients and ourselves, so you will always find our staff in a Grevitt’s uniform and our silver vans clearly marked with our company details. 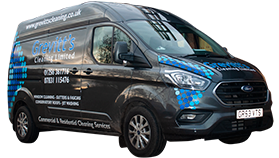 Grevitt’s Specialist Cleaning Services is based in Basingstoke and covers all areas of Hampshire and surrounding counties, including Berkshire, Surrey and Middlesex. Some of the areas we currently work in are Basingstoke, Oakley, Hook, Fleet, Church Crookham, Bracknell, Reading, Cobham, Richmond, Twickenham, Guildford, Weybridge, Barnes, Oxshott, Walton on Thames, Esher. This is by no means an extensive list and we would welcome your call too, so please feel free to contact us should you wish to enquire about a quote in an area not mentioned above.